This pattern uses two-hole diamond beads (DiamonDuo beads or the new GemDuo beads) instead of SuperDuo beads and 4mm beads instead of 3mm beads for a wider band with an additional row of seed beads along the edge to give it some more strength. 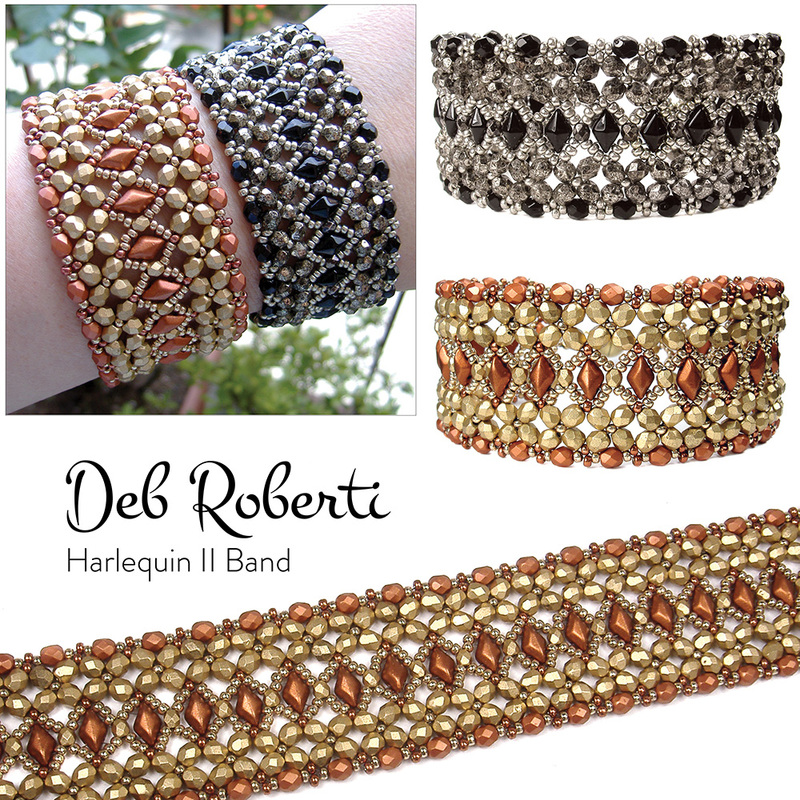 Experienced beaders who purchased my original Harlequin Band will probably be able to figure out how to bead this band without the pattern by making the necessary substitutions but for those who want step-by-step instructions, this is for you! Although they are not exactly diamond-shaped, this design also works great with IrisDuo beads.